The plan to build more than 2,000 homes on green belt land at Wisley Airfield are “absolutely horrendous”, according to an objector concerned about the effect on Cobham and its surrounding villages. 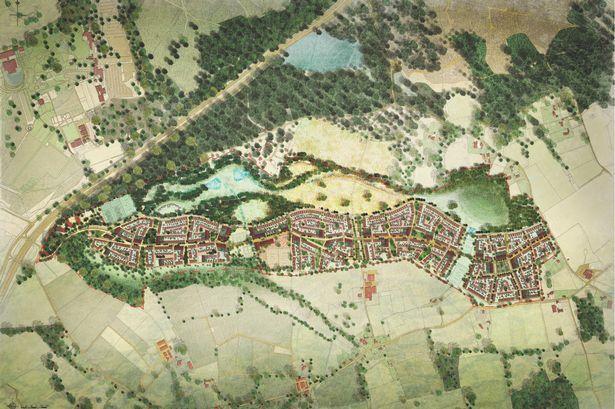 Wisley Property Investments Ltd has submitted an application to construct up to 2,100 dwellings on the land in Hatch Lane, Ockham, along with a primary school, nursery, health facility and retail units. Susan Kilpatrick, chairman of the Cobham and Downside Residents’ Association, believes the proposal is “totally out of character” with the area. She said: “It’s absolutely horrendous, and no special circumstances have been demonstrated for building on green belt land. A development of this scale, “about half the size of Cobham”, will increase the strain on an already fragile infrastructure network, according to Mrs Kilpatrick. “The envisaged closing and restructuring of routes around the site and additional traffic movements will only add pressure on the roads in the community,” she said. The Cobham Green Belt group has highlighted the ‘adverse effect on all of the nearby areas, including Cobham, Downside, Stoke d’Abernon and Oxshott’. The group points to a number of areas of concern, including the ‘urbanisation of a rural area with a negative impact on roads and lanes, light pollution, air pollution, traffic, infrastructure’. The site was proposed for removal from the green belt in the council’s draft local plan, but crucially the plan has not been adopted. Following vocal opposition from residents adoption of the draft plan has been postponed so another consultation can be carried out following the election in May. Malcolm Aish, from the Wisley Action Group, was amazed at this announcement by the developers. Yet Mike Murray, project manager for the Wisley development, pointed out that a Guildford Borough Council green belt review marked the airfield is an appropriate site for development. He said: “Our proposals for a sustainable new community at Wisley Airfield make the best possible use of the site, which includes 70 acres of runways and hardstanding – about the same size as 70 football pitches. “The site was subsequently included in the draft Guildford local plan as a potential major development area. We support this allocation. The applicant states that the project will provide 7,000 square metres of employment and shopping space, with the creation of up to 350 full-time jobs. The period of submissions to Guildford Borough Council on the plan closes on March 31.